When it comes to your medical provider, your relationship with your doctor is important. And for women, few relationships are as important as the one she has with her OB/GYN. 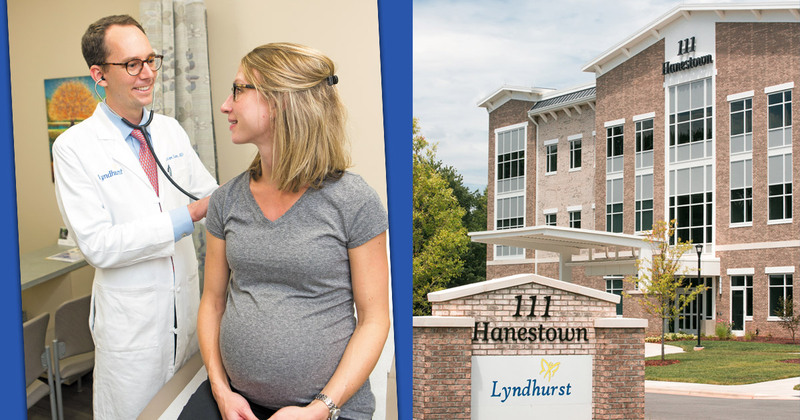 Lyndhurst Gynecologic Associates recognizes this, and that is just one of the reasons this organization remains a thriving private practice in the community. They specialize in services designed to fit each woman’s unique needs, and with that spirit in mind, Dr. Tristan Sanz has been a most welcome and valued addition to the team. Born and raised in Florida, Dr. Sanz attended the Florida State University in Tallahassee, FL. He received his medical degree from the University of Florida College of Medicine and completed his residency at Wake Forest Baptist Medical Center in 2016. He joined the Lyndhurst team in August 2016 and has proven himself to be a valued asset to the organization and his patients. Dr. Sanz understands the importance of his relationship with his patients. Whether the patient is visiting for general gynecological health and checkups, or for an obstetrics visit, Dr. Sanz is committed to fostering communication. Dr. Sanz also loves being a part of Lyndhurst’s CenteringPregnancy program. As a part of the new initiative, Dr. Sanz sees CenteringPregnancy as an invaluable tool for prenatal care and education that also combines the needed social support aspect that is so important to new, as well as seasoned, moms. Dr. Sanz has a newborn daughter and two bonus children with his partner, Jen. Their family, along with their dog, Bruce, enjoys spending time outdoors and taking advantage of all North Carolina has to offer. From hiking in the mountains to spending time at the beach, the Sanz family loves the diversity of the seasons, as well as the community that Winston-Salem has to boast of. He looks forward to many great years ahead at Lyndhurst, as he continues to build relationships and help women through the various stages of their gynecological health. To schedule an appointment with Dr. Sanz or any of the fantastic providers at Lyndhurst Gynecologic Associates, call 336.765.9350. Lyndhurst’s main office is located at 111 Hanestown Court, Suite 151 in Winston-Salem, but they have satellite locations in Kernersville, King, and Mt. Airy. Visit LyndhurstGyn.com to learn more. Dr. Sanz is highly recommended by patients!